Due to variable book weights and postage rates for US and Foreign Orders, shipping costs are per book. We will happily refund any excess postage amounts for multiple books in a single order after we receive the order. Thank you! You do not need a PayPal account to use our shopping cart. During the checkout process, you will select the "Shipping Method" and it will add the shipping total in at that time. We are also printing a limited edition set of 5 postcards celebrating each of the stories: 4" x 6" size - 25 copies only (19 remaining) - $4.00US. Sarah Daly, co-founder of indie horror outfit Hex Studios, has collaborated with director Lawrie Brewster on some of the most original horror/fantasy films in recent years such as Lord of Tears (2013), The Unkindness of Ravens (2016), The Black Gloves (2017) and Automata (2018). With influences including M.R. James, Daphne Du Maurier and Walter Tevis, Daly studied Media Arts at Dublin Institute of Technology which revealed her passion for scriptwriting. She moved to Scotland in 2010, where she established boutique horror production company Hex Media, later Hex Studios, with Brewster. Her passion for horror, science fiction and fantasy has driven her to create original stories and brave new worlds in a variety of forms, from songwriting to poetry, screenplays and short stories. Diane Morrison is an emerging hybrid neo-pro author best known for her Wyrd West Chronicles and Toy Soldier Saga stories. One of her stories recently appeared in Third Flatiron's Terra! Tara! Terror! to good critical reviews, and another recently received an Honorable Mention in the Writers of the Future competition. Her work has also been in several magazines, anthologies, and book bundles. Her first novel-length book, Once Upon a Time in the Wyrd West, was published in September. She is also the manager of the SFWA official YouTube channel. She lives in Vernon, BC, Canada, with her partners and three-legged furbaby. A pre-Internet product of the American Midwest, Cat Rambo continues to be pleased at living in a world where we can listen to the sound of the wind on Mars. Her 200+ fiction publications include two novels and stories in Asimov's, The Magazine of Fantasy & Science Fiction, and Clarkesworld Magazine. She is the founder of online writing school, The Rambo Academy for Wayward Writers (academy.catrambo.com) and is the current President of the Science Fiction and Fantasy Writers of America (SFWA). At turning points, we face decisions. Here, three of the Castle's immortals - Lightning, Simoon and Comet - relate pivotal moments of their lives. 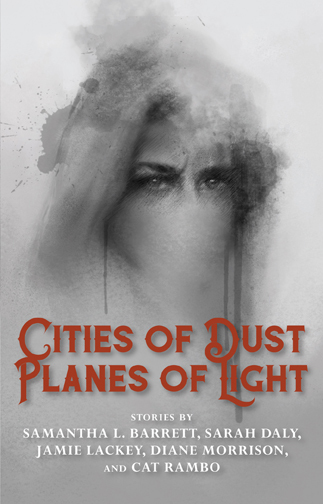 A deadly chariot race forces Lightning to choose between his lover and his family; Simoon must decide what value he places on friendship, and Jant faces the consequence of his decisions to betray others. As a bonus, three short tales of the immortals' deeds are extracted from the Histories written by Simoon. But which are myth, and which reality? Turning Point contains two stories never before available in english: Velocity and The Wheel of Fortune; and two stories published for the first time: The Bliss of Solitude and Tales of the Immortals. The book also includes two maps and the Micawater family tree. 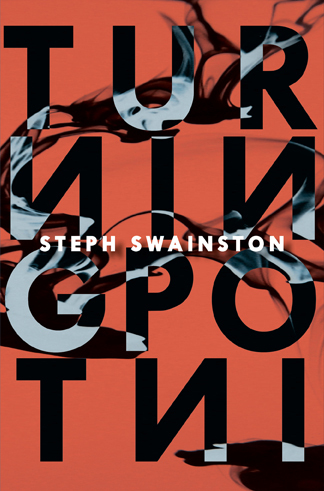 Steph Swainston is the author of The Year of Our War (which won the 2005 IAFA William L. Crawford Fantasy Award and was nominated for the John W. Campbell Award for Best New Writer), No Present Like Time, The Modern World, Above the Snowline and Fair Rebel. 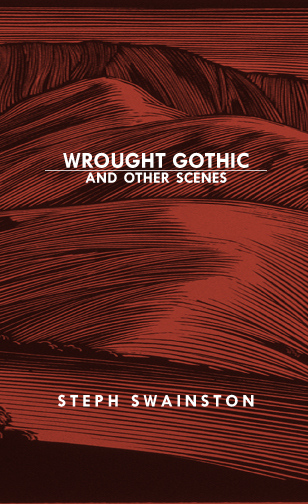 The Air and Nothingness Press previously published her books Aftermath and Wrought Gothic. 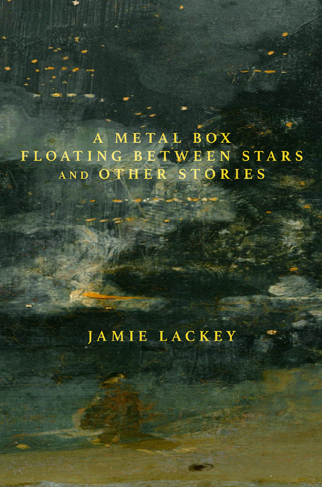 Jamie Lackey's new collection of speculative fiction stories - A Metal Box Floating Between Stars and Other Stories will make you think, wonder, and hope. Journey within and away to find love across time, friendly and fearsome aliens, alternate realities, fungal zombies, and more. Read a review at Tangent Online. Jamie Lackey lives in Pittsburgh with her husband and their cat. She graduated from the University of Pittsburgh at Bradford in 2006 with a degree in Creative Writing. She studied under James Gunn at the Center for the Study of Science Fiction's Writer's Workshop in 2010 and has taken various workshops with Cat Rambo. She primarily writes science fiction, fantasy, and horror short stories. Jamie has over 130 short fiction credits, and has appeared in Daily Science Fiction, Beneath Ceaseless Skies, and the Stoker Award-winning After Death.... Her fiction has appeared on the Best Horror of the Year Honorable Mention and Tangent Online Recommended Reading Lists, and she's a member of the Science Fiction and Fantasy Writers of America. Her short story collection, One Revolution, and her zombie novella, Moving Forward: A Novella of Life After Zombies, were successfully funded on Kickstarter. Her debut novel is Left-Hand Gods. The Air and Nothingness Press previously published her story collection The Blood of Four Gods and Other Stories. 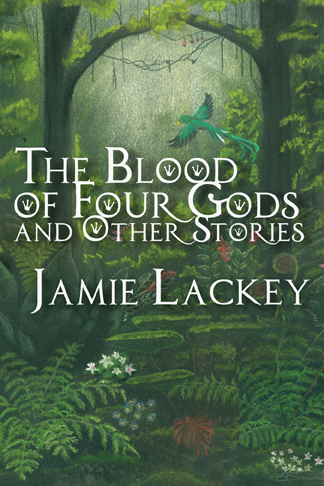 The Blood of Four Gods and Other Stories is Jamie Lackey's debut collection with the AaN Press and contains fourteen short stories, including two never-before-seen tales, set in fantasy worlds inspired by Asian, Native American, and African myth and history. Read a review at the Archaeolibrarian. Kyth the Taker features the stories: The Beautiful Corridor, The Shuttered Temple, and The Silent Castle. Jonathan L. Howard is a game designer, scriptwriter, and a veteran of the computer-games industry since the early nineties, with titles such as the Broken Sword series to his credit. He is author of Johannes Cabal the Necromancer, Johannes Cabal the Detective, Johannes Cabal: The Fear Institute, The Brothers Cabal, The Fall of the House of Cabal, Carter & Lovecraft and After the End of the World, as well as the young adult novels Katya's World and Katya's War. He lives in the United Kingdom with his wife and daughter. Aftermath carries on immediately from where Fair Rebel leaves off. 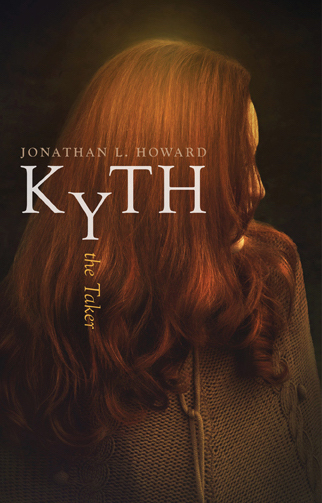 Meet Simoon and Gayle in an early preview of Steph's next novel, The Savant and the Snake. This book also contains additional, previously unseen, material including a timeline of the Fourlands. PLEASE NOTE: Events in Aftermath take place after Fair Rebel. Please be sure to read Fair Rebel first. 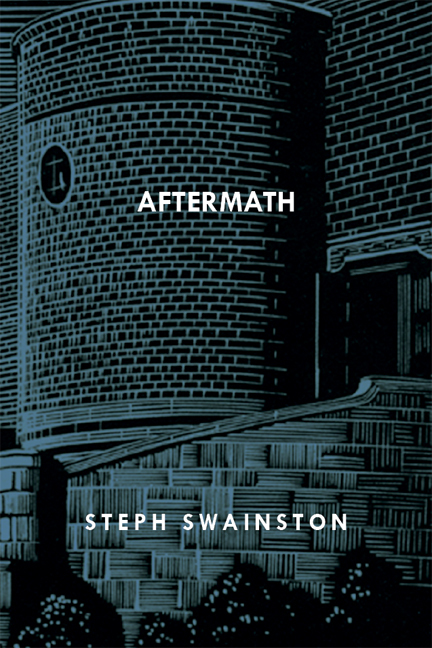 This book contains nine previously unpublished narrative vignettes which take place within the Fourlands of Steph Swainston's Castle series. "Todd Sanders is perhaps best known for his translations of the French Surrealist poet Robert Desnos; however, in Species of Night, he allows his own muse to roam free. A small book of quiet yearning, Species of Night descends upon the reader like a velvet fog. 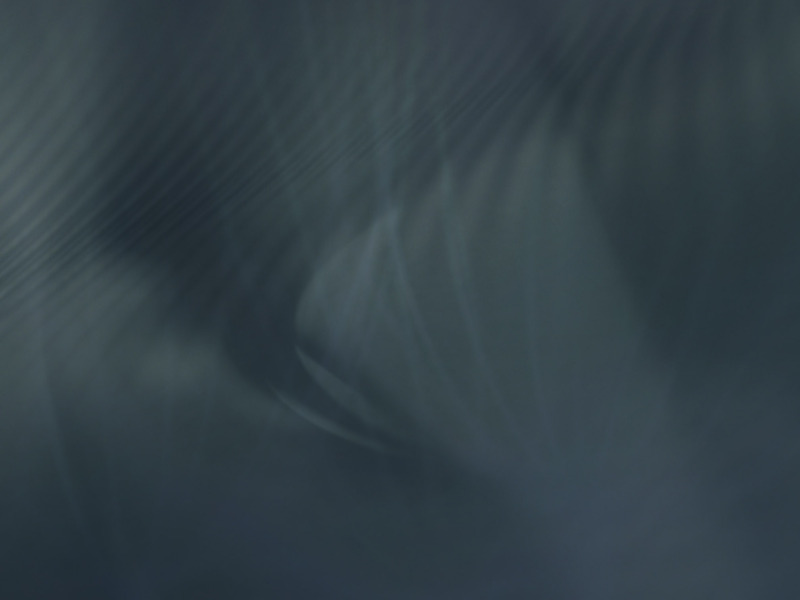 Lines such as these from the poem 'Umbra' nearly sigh in the reader's ear: 'I had you once. Among the birds, among the blue / glass. I felt your shade there upon my hand.' A sad dreaminess is pervasive; lovely poems of emotional depth appear on every page." This handmade book measures 7.5" x 11" and is constructed with Strathmore paper. 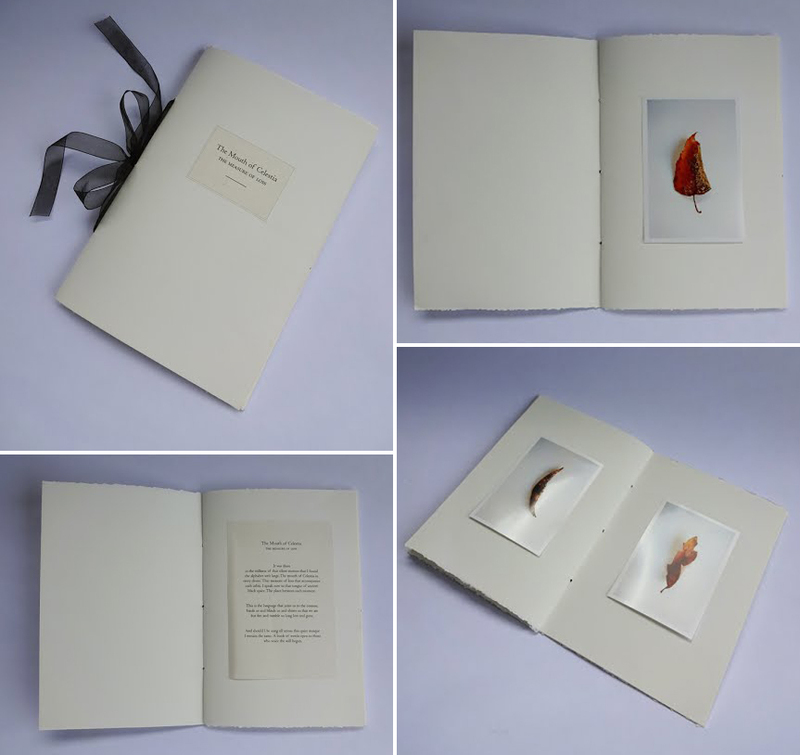 The book contains one poem and sixteen photographs. In the summer of 1930, Robert Desnos, Youki and her then-husband, the Japanese painter Tsuguharu Foujita, along with Foujita's cousin, set out on a walking tour of the Burgundy region of France. This is a memoir of their adventures. An anthology of poems in original French with English translations. Mythmaking collects Robert Desnos' mythologically themed poems - Le Fard des Argonauts (1919), Minotaure (1930), Bacchus et Apollon (1942), Le Satyr (1942), and the extended poem Le Bain avec Andromède (1944) - several of which appear in English for the first time. These poems span the writing career of Robert Desnos, from his early beginning as a founding Surrealist through the 1940's when he joined the Resistance against the Vichy Government and wrote poetry opposing the German Occupation of France. This live recording took place on May 1st, 2004 in Pittsburgh. Todd Sanders reads from his translation of 'Calixto' accompanied by double-bassist Tracy Mortimore. This CD includes a reading of the complete text. In original French with English translations. Robert Desnos' 1943 poem Calixto, companion to the 1944 collection Contrée, was published in a complete edition by Gallimard in 1962. Calixto is a poem of resistance, epic in scale, combining a narrative language of classicism and Greek mythology with the argot of 1940's Paris. In a world peopled with prostitutes and explorers, victims and murders, Desnos fuses together a poetic elegy, a cry in the darkness against evil unleashed on the world. Also appearing in this volume is Notes Calixto, notes and commentary written by Desnos in the margins of Calixto during its creation. "Inspiring in this skillful English translation by Todd Sanders as it is in the original French, Calixto conveys Desnos's vivid portrayal of a changeable figure eager to encourage human beings to cling to their lives and their humanity in the face of tremendous odds." 25 poems in original French with English translations. Christened Youki, Japanese for 'pink snow', Lucie Badoul lived in Montparnasse in the 1920's and 30's where she was a model for, and later wife of, the Japanese painter Tsuguharu Foujita. 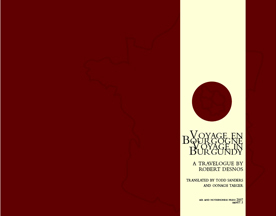 The poems in this volume have been taken from two collections that Desnos wrote for Youki: The Secret Book for Youki composed in November of 1932, and selections from 1930 Youki Poèsie, completed in 1934. These are love poems for Youki as well as poems about what it means to love. 18 poems in original French with English translations, with four original woodcut illustrations by Elise Soroka and Sarah Marshall. Robert Desnos (1900-1945) was one of the Surrealist movement's leading poets, praised by Andre Breton for playing a "necessary, unforgettable role." Combining humor and pathos, dreams and reality, Desnos work is typified by its verbal techniques and independent spirit. In 1930 he broke from the Surrealists and for a decade wrote motion picture and radio scripts, including the highly successful Complainte de Fantomas (1933). Arrested for his activity in the French Resistance, he was eventually deported to Czechoslovakia and died of typhus shortly after his camp was liberated. For an article on The Circle and the Star published in Pittsburgh Tribune-Review, click here. We offer credit card purchasing through the PayPal secure payment system. You do not need a PayPal account to use this service. Click on the "Add to Cart" button and the book will appear in your shopping cart. If you wish to purchase more than one book, click on the "Continue Shopping" button. Shipping totals will appear on the final PayPal screen. If you are purchasing books outside the US, please use the "Add to Cart (Foreign Order) button when making your selections. Discounts for bookdealers/libraries are available. Please use the contact link for queries.